Airlite is one of the traditional true Aussie companies that have been around for almost 50 years. Their quality and exceptional professional service are second to none. 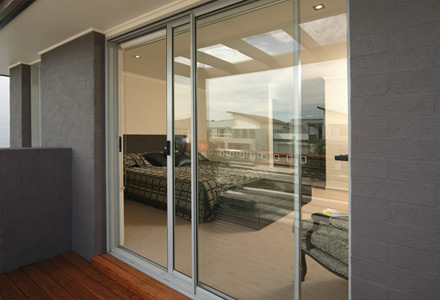 Over time, all doors will disintegrate, all parts and internal parts of the sliding door will disintegrate over time. We have been looking after Airlite sliding door repairs for over a decade. The Adsafe Doors team are well positioned to help you get your sliding door sliding like new again. Some of the common issues we find with the Airlite sliding doors are that they are noisy. They are likely grinding on the tracks or in a lot of cases, they will actually be jumping off the track when you’re moving it. The reason for this is the tracks and the rollers have disintegrated and need to be replaced by a professional. Click play on the video below to see one of our happy customers who had their Airlite sliding door repaired. In this video, the lady describes how bad the door was previously. The sliding door would constantly jam and was very difficult to open. Not only that but the locks wouldn’t line up properly. As you can see, we installed new double rollers, machined the track back and installed a new stainless steel capping. This new sliding door track fits the new double rollers perfectly. 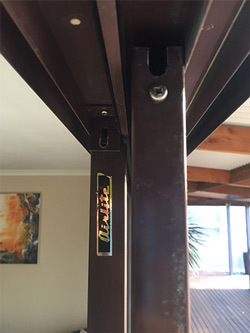 Our company, Adsafe Doors, has been repairing Airlite sliding doors for over a decade. All old parts are replaced with the highest quality rollers and tracks available on the market today. Our preference is Australian made and produced materials, to ensure the quality that we are used to. We will diagnose exactly what the problem is with your Airlite sliding door. 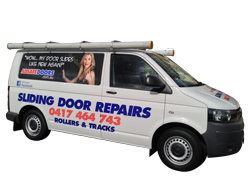 Our team will give you a solution so you know exactly how quickly we can repair your door. As you can appreciate, we then in mechanical parts. These parts are grinding and moving, day in and day out. Every time you’re opening your door, there’s an opportunity for dirt, grime, dust and material to get caught between the door and the tracks. Over time, that’s slowly scraping it down and wearing it away. What we find is the easiest is to make sure it is all replaced with high-quality rollers and tracks, and they’re put in perfectly, such that your locks will line up perfectly. One of the challenges we find with people trying to do their own sliding door repairs, is they are not able to have the locks line up correctly. Over time, the weight of the door weighs down the tracks and the rollers. It is a combination of issues. The springs in the rollers get old and can no longer support the weight of the door. That is why some doors feel like they are twice as heavy compared to when they were rolling smoothly. The Adsafe Doors team will make sure that your tracks and the rollers are perfectly positioned so your locks line up perfectly. Your door will be able to open and close with ease, with just one finger. We’ve been fixing Airlite sliding doors for over a decade. We’d love to be able to give you an accurate quote and give you a time and date, that we can come and fix your Airlite sliding doors. So give us a call today.